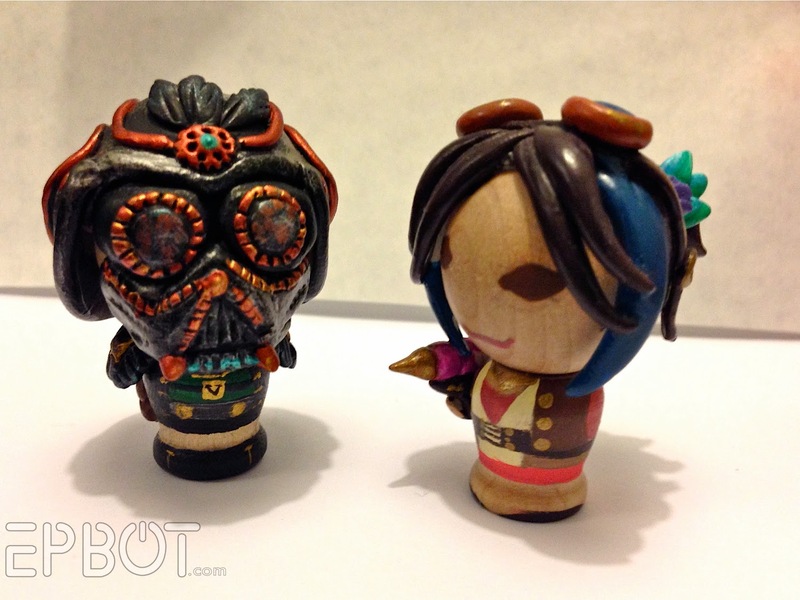 EPBOT: March Art Roundup: MegaCon! A lot of great art here! I love the Danny Haas Star Wars print!! I've never tried this before, but I always enjoy looking at the art, so what the heck. Let's see if I can win something. Thanks, Jen, for your generosity and for keeping us entertained! Awesome, love all the art. Thanks again for doing this. Soooooo Pretty! I want something for my new nursery. Do folks ever send you prints specifically for the board? Love the Star Wars doodles. I loved all of the art at the con. My son bought the Rainbowdash card from Christy' s booth. I can't to tell him he bought a mermaids art. And thanks again for taking our picture at the con on Sunday (the steampunk family). And it was awesome seeing Jon in his Dreamfinder costume. Wowza, these are gorgeous - and kudos to the first-timers that were showcasing their talents! Incredible! Can't wait for con season to start again up here, I don't have any more room for art but that's never stopped me! I love all of these, but Mike Maihack's art made me have this awesome wave of happy nostalgia for my childhood. Thank you for sharing! Love the new additions. I'd have a hard time choosing if I won this month. Oh, who am I kidding...look at those cheekbones. 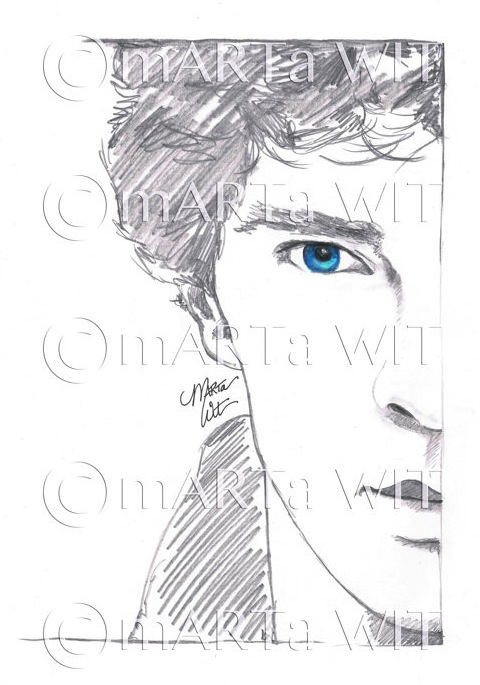 Beautiful drawing of Sherlock! I was so close to attending the con this year...seeing all of this art makes me wish I'd gone! Hi! I could not find you at MegaCon, i think i should get a piece of this awesome art work for looking so hard! Haha ;) Love the blog BTW it always brightens up a bad day!! or makes a good one better! last year I gave you some bracelets and i was really worried that they got smashed, if you read this can you let me know if they were destroyed? it would give me an excuse to make you something else! 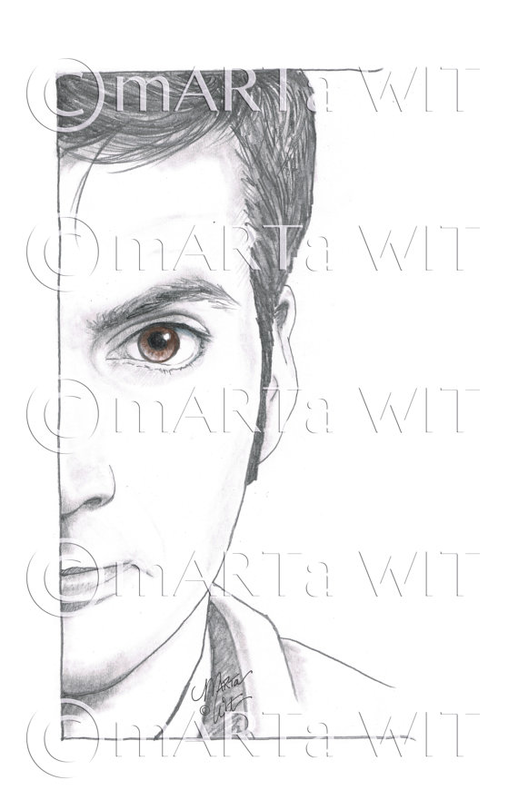 Ohmygoodness I love the half-portraits and the little dalek!! 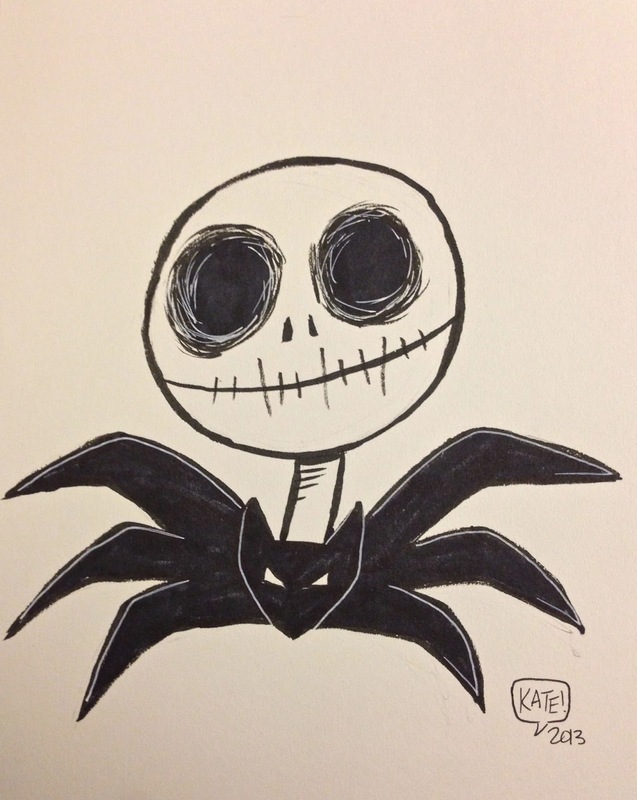 And my brother would adore the Jack Skellington art! wow, the half portraits are amazing! Well, honestly, everything you post is amazing. But on the scale of starting from amazing, these are wow! Cowsup@gmail.com since it seems to not want to sign me in. You always have such beautiful stuff! 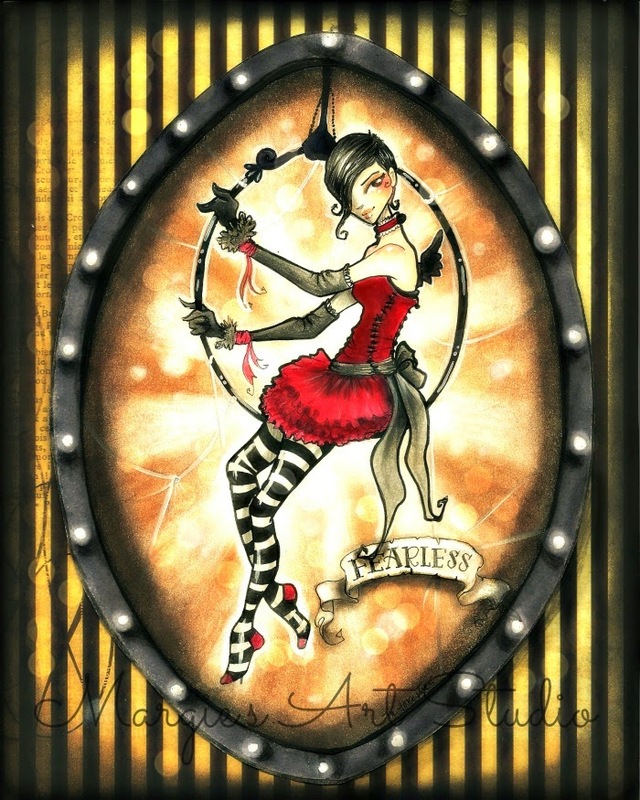 And on your board I love the '3 Limited edition (14/100) 5x7 prints by Meredith Dillman'. So perfect for my little girl's room! All the art is awesome but I especially like the penguins. So fun! how I wish I was closer to Megacon! Love all the art, as usual! I'm pretty sure I'm going to have to start saying that, "quickly batgirl! To the candy!" Love! 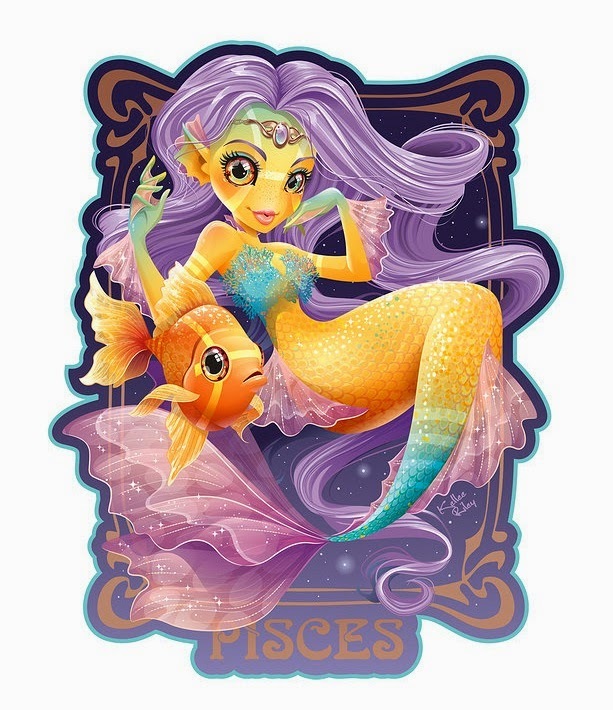 There is so much eye candy art! Oh how does one choose? Jen you always find the best stuff...I'm so jealous! It's a Star Wars after all would be amazing! It's a shame you no longer have Whobacca print though. I really NEEEEEDDDDD the Jack art! It is perfect for my Jack library! I love seeing your monthly roundup, I'm trying to slowly expand my art collection now that I have my own place. I love it all ! I hope I win! My email is uncleskipper@aol.com. So much eye candy! I love love love these posts, thanks so much for bringing us such beautiful things to ogle! Everything is amazing, and I've discovered several new artists to follow- and maybe even buy art from!- thanks to this post (PENGUIN DOCTOR. SO CUTE. ), so yay! so many pretties!! thanks once again for sharing! 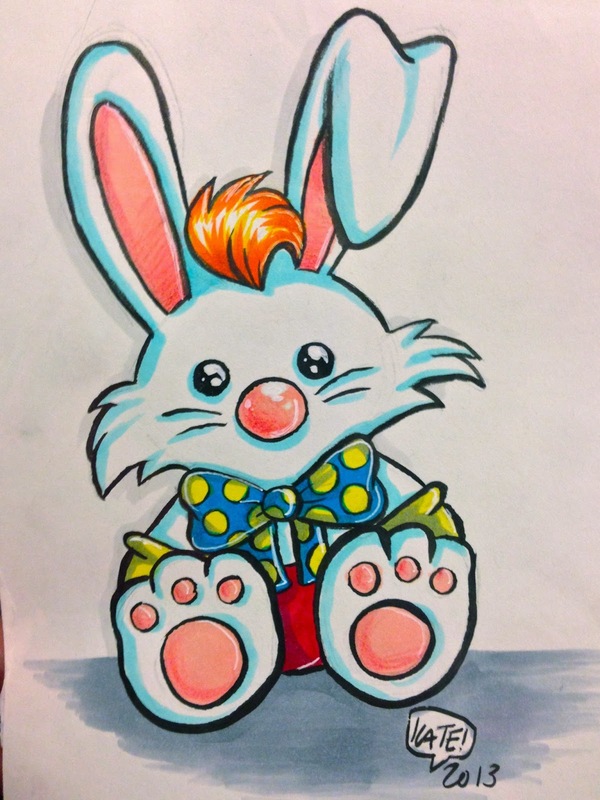 That baby Roger Rabbit may be the cutest thing ever. The medusa and the catwoman are so amazing! I discovered you through The Bloggess, and you just introduced me to Mike Maihack, and I've fallen in love with his work. I adore the pieces you posted as well as his Girl Walking Rhino and Boy Walking Dragon!! Love it all, especially the half portraits ! I love the Holmes and Watson prints! Amazing! As always, your art post makes my heart skip a beat. I've been loving ogling all of the awesome megacon costumes as well! You always find the coolest, most interesting art! 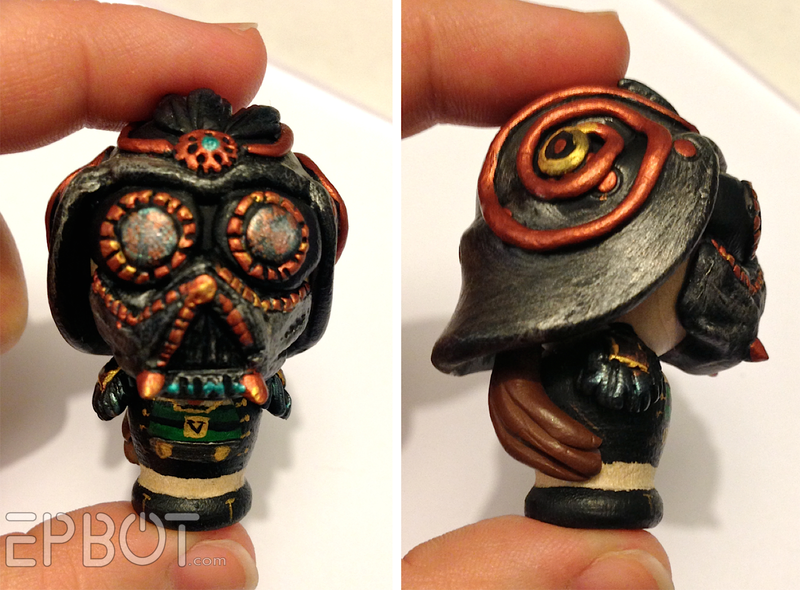 These are so cool. 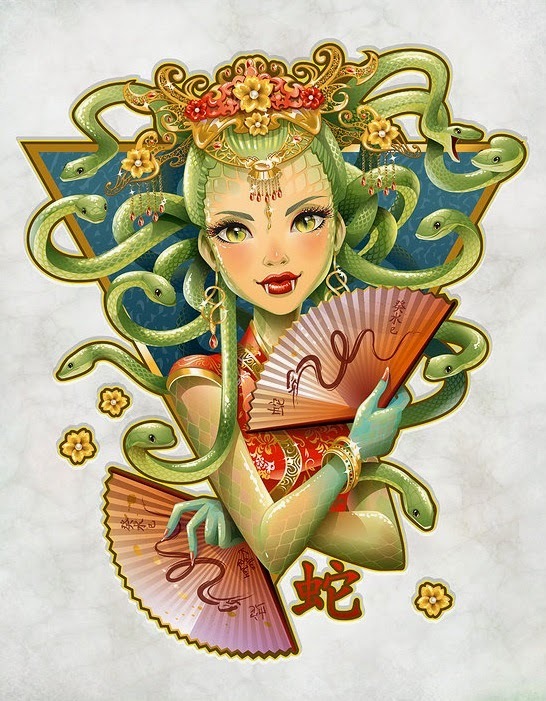 Have you seen Genevieve Santos's artwork? I received pieces named Growing Up Geek and Literary Fort as a gift and just fell in love. Then once I unexpectedly met her at a winter arts fair and just gushed at her while shaking her hand a little too long. We ended up buying Tea, Earl Grey, Hot to complete our set, and she was so sweet and gifted my son with Clink because it reminded him of being with his best friend. Check her out! 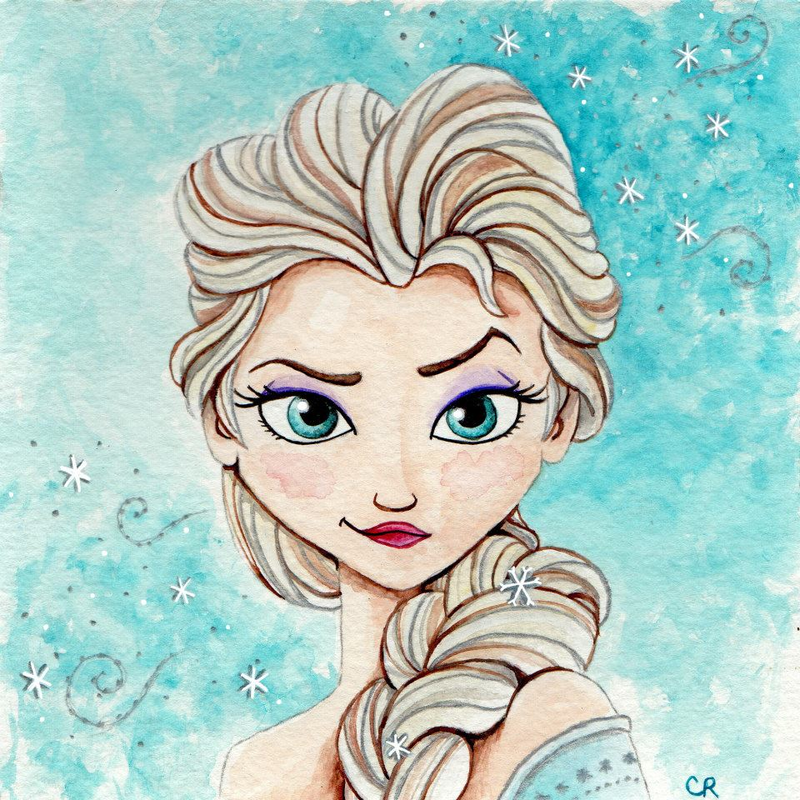 Jen featured Growing Up Geek here on one of her first art round ups! and next thing I knew my bank account was lighter with it proudly on my bedroom wall! Please pick me! Oh wait, don't, because then I'd have to decide on ONE piece. But go ahead and pick me anyway! Oooh, such goodness! :-) I hope I win! I love your art round-up, so much in fact that I spent more than I should have last month on one of the artists. Thanks so much. Definitely entering, with those lovely half portraits! OMG! So much wonderful stuff, and this is the first I'm seeing the "Dogtor Who" group! She nailed every one of them! It took me a while to figure out the grumpy-looking fellow in the pink scarf, fifth from the right, but then - of course! And as perfect as the rest! Oh golly how I would love to give that Jack Skellington to my mom. As always, I am blow away by the amazing pieces you find. Some many wonderful artists in such a range of styles. I just wish I had an unlimited budget! Oh, these are gorgeous! Love the Kellee Riley pictures! Wow I love the picture of Sherlock and John or the cute Princess Leia. These are all wonderful! Awesome! I love seeing all this talent. Those half portraits are stunning ... so much talent! You always find such great artwork. 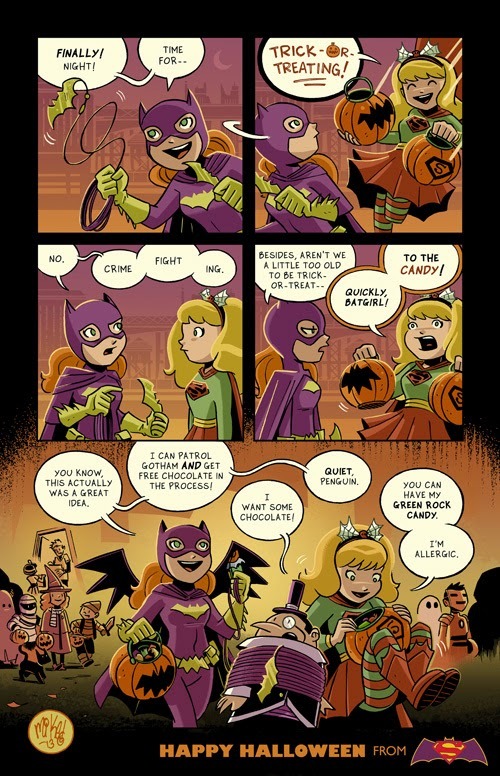 The comic of Batgirl and Supergirl trick - or - treating is adorable. So many amazing pieces of art! I always love these posts, love getting to learn about new artists! Ooooh! I love the Sherlock and John set! So much pretty art! 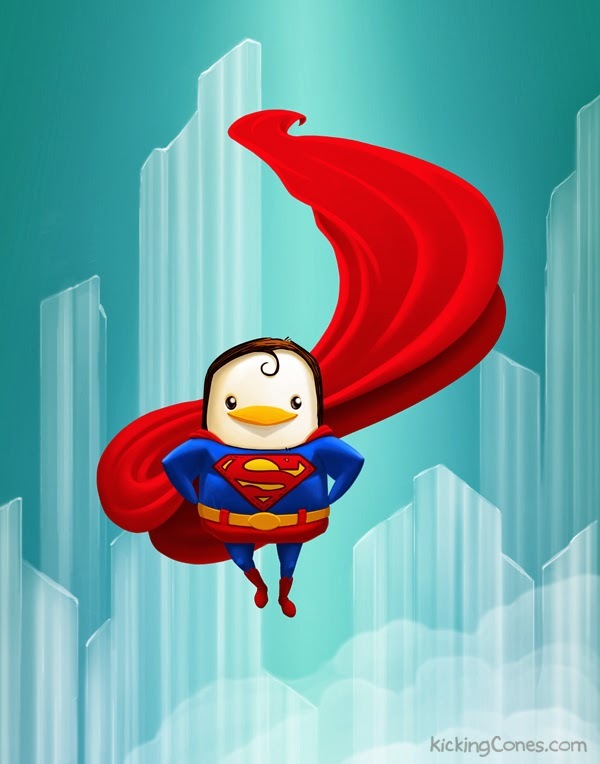 Have you seen Burdge Bug's work? I know she's pretty popular but I just adore everything she does. Christie's artistic abilities with costumes and art is mind blowing! You're my only hope... of winning amazing art. Such fun new pieces! I would love to win something for our geek nursery. Thanks! I love the half face prints! Please please please pretty please! What absolutely stunning artwork, how fun to get to meet the artists in person! That baby Roger Rabbit is way too adorable! I loved those circus themed prints up near the top. That little Dalek is just sooo cute! I've been waiting for a new art post - I'm finally getting around to filling my completely bare walls with some artwork, and recently went back through every art post, filling my etsy favourites and my own pinterest art board. 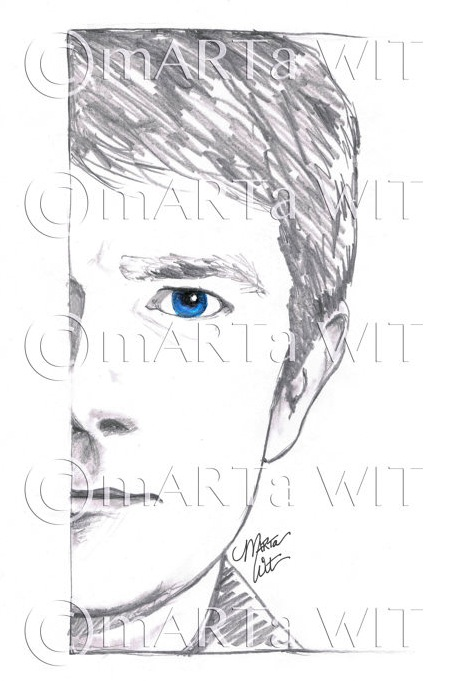 Those sherlock half-portraits are awesome! So much fun art this month! Love it all, thanks for writing this blog! Oooooh! The Roger Rabbit print is too much! All that cuteness in time for Easter! Great stuff in this round up. Thanks! I love you for widening my horizons! I sure hope some of this art will be winging its way to me in Wisconsin. Love it! 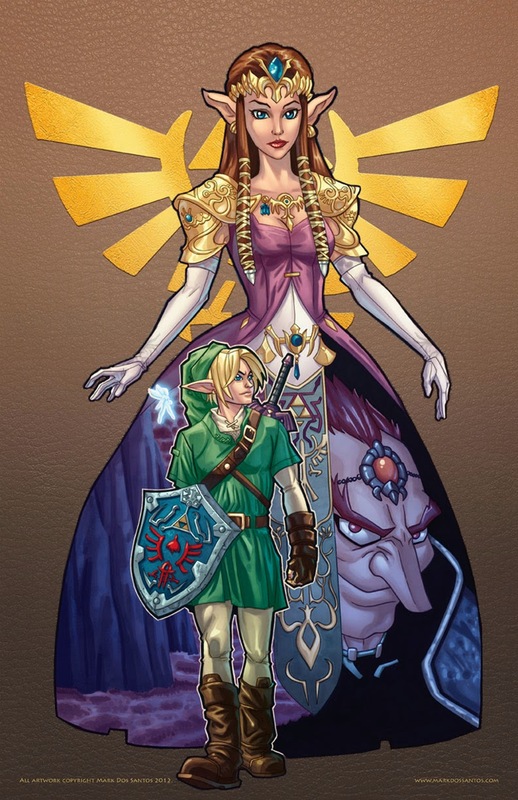 Such gorgeous artwork! Always a fan of your art posts! I loved Jack, but the penguins!! OMG So stinking cute!! Love all your choices this month! Tea Time with Wampa is divine! Looking to up my art collection; always love what you've picked out! Wow, this is an especially great art roundup! 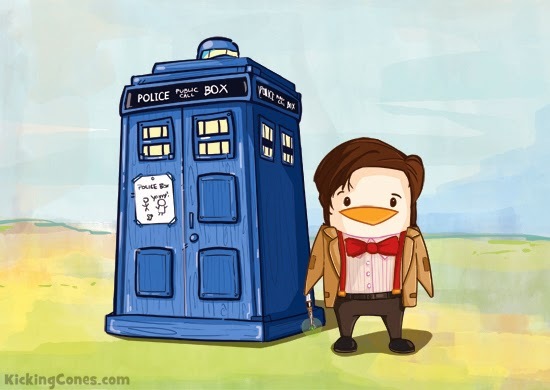 I'm in love with that Sherlock art, and the Buzz Lightyear penguin. Wow so much amazing art! Wish we had bigger cons here in Aussie! Lots of great art here! 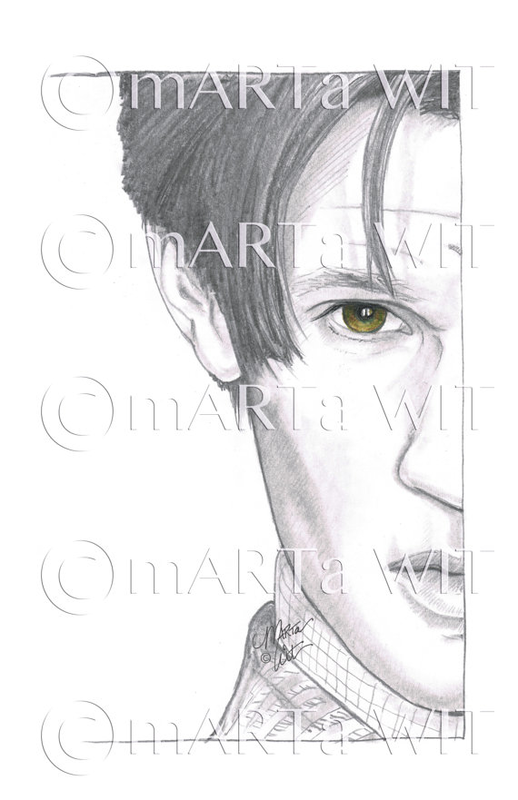 I think I need to get my hands on some of those Martha Wit drawings. Gorgeous!! Love all the artwork, would love to pick one to win! Thanks for all your hard work putting these posts together. 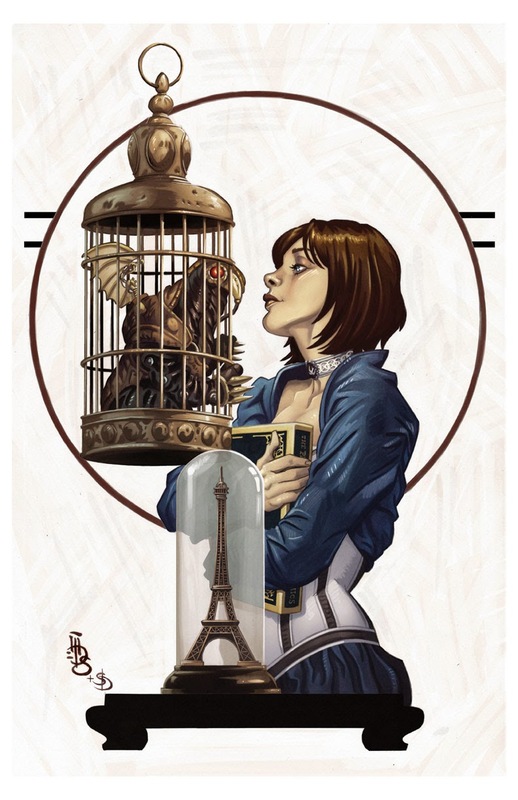 I want to go to a con just to look at the art. I want to win! The Hello Pony print is still there! One of these times I'll get selected. This might be my favorite roundup so far, thank you! This is the coolest roundup for a while - it's almost midnight and I really need to get some sleep, but now my paints are calling me. It was my first year at MegaCon, and I was only there on Saturday. I didn't even venture into the artist alley. I obviously missed out. I plan to be at MegaCon all 3 days next year, so hopefully I will come across some awesome art then. I love Zelda, Roger Rabbit, Catwoman, and the Batgirl and Supergirl comic. They are just so wonderful! I can't believe I missed the Roger Rabbit from the con! Maybe next year. Fantastic art! Hard to pick just one favorite. 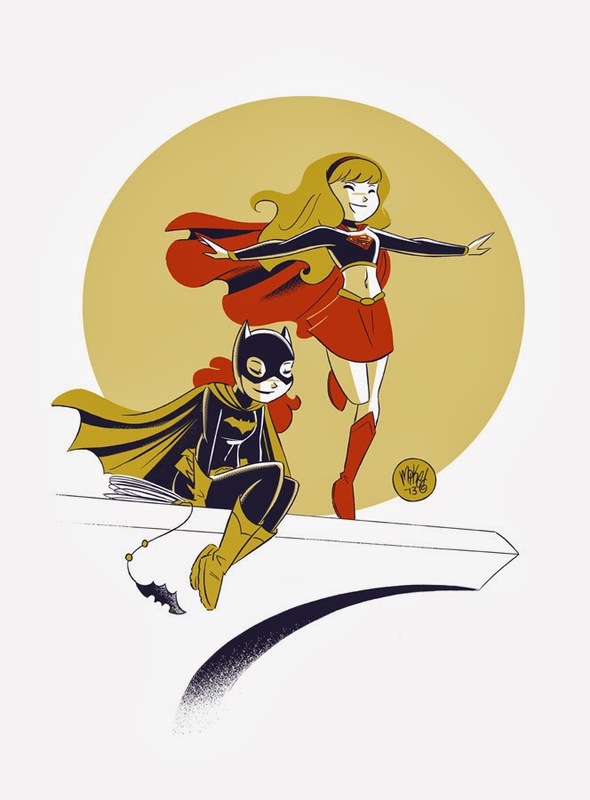 Christy's work is beautiful, and I love the Batgirl and Supergirl picture. As always... LOVE IT ALL! Argh! I love all the art you post! There is so much cuteness! My poor walls aren't big enough. Can that be my excuse for convincing my husband we truly need to move soon? 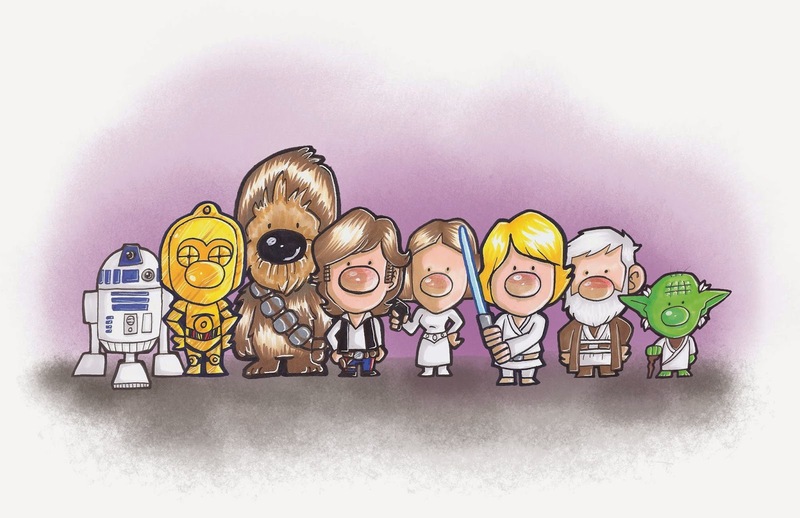 OMG...the squishiness of the Star Wars doodle! I LOVE IT ALL!!! Great line up this month! Loving the Mike Maihack work! Love these art roundups - so much inspiration! 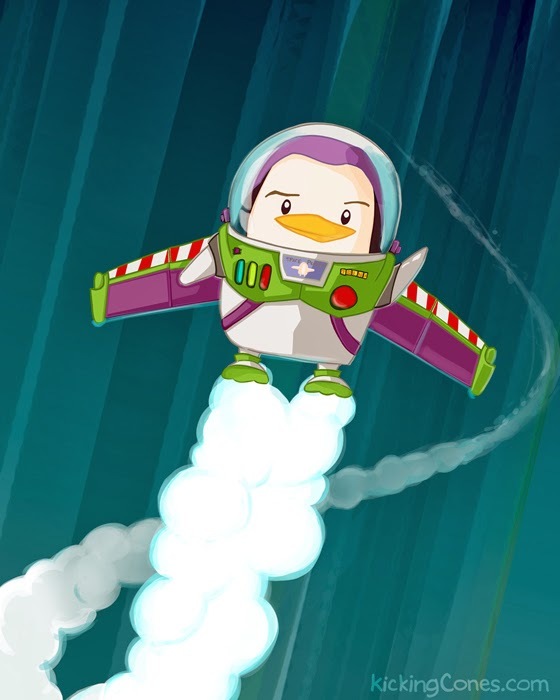 The penguin Buzz Lightyear is so awesome. omg, Amazing. There are too many I love in here!! Thanks for sharing this lovely art. I looooove the Dogtor Who. Somehow I missed it when it apparently went viral. 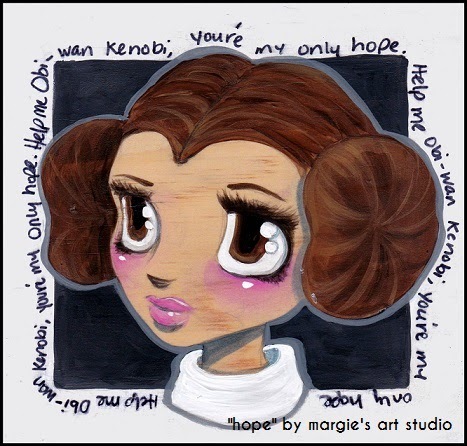 I also really like the Star Wars prints by Margie. Very cool. SO much beautiful art! 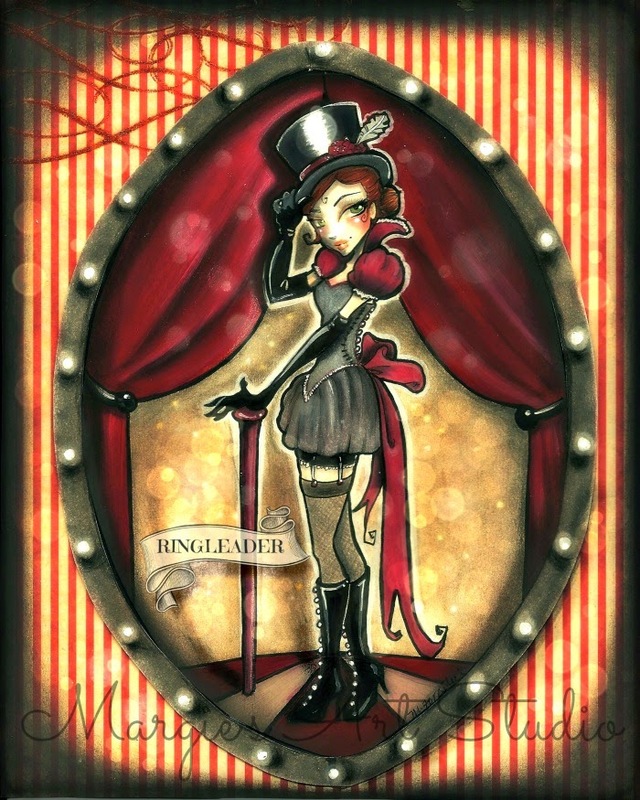 The circus prints by Margie really catch my interest. Thank you, for everything that you do! Pweeeeeeeze!!!!! I need Tea Time With Wampa!! OOO, pick me! "Don't Look Back" would look so great in my living room. I'm going to try again. We got a new house and I'd like some more art to decorate! Thanks for all you do! So many choices.... such a generous person! You always post such gorgeous pieces! I love checking out all the artist sites. I'll have to do some purchasing for my new house. I'm trying to name a favorite piece of art here, but they're all so pretty!!! These are soooo great! oh! me me me! I want some fun art stuffs for my home. Going to try again to win one of these lovely pieces of art...So pick me?? Throwing my hat in the ring, hoping to be one of the lucky ones to win some amazing art!!! Please pick me! It's always a neat set but this week's featured are particularly cool! Entering myself for the give-away. I love that cat woman print! ACK! So much great art here! I would almost, ALMOST hate to be picked because then I would have to choose!! 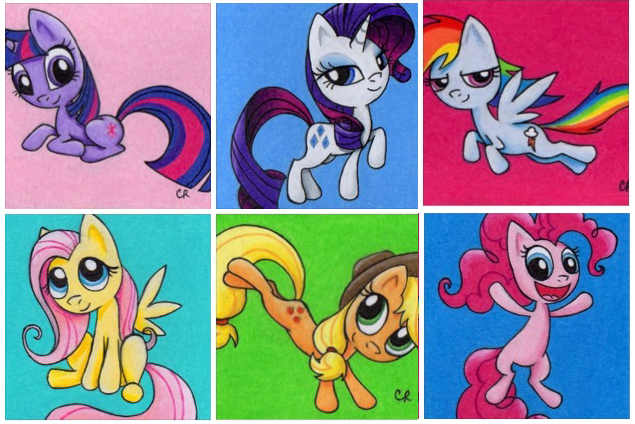 Just FINALLY got around to watching My Little Pony: Friendship is Magic this weekend. And. I'm. Hooked! Oooo, Marta Witt must be a kindred soul. Love her work! Because you can never have enough really great art for the walls! This week hasnt started good.. would love to end it on a awesome note with some great artwork! 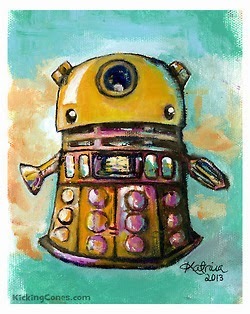 I absolutely love the little dalek! So cute! 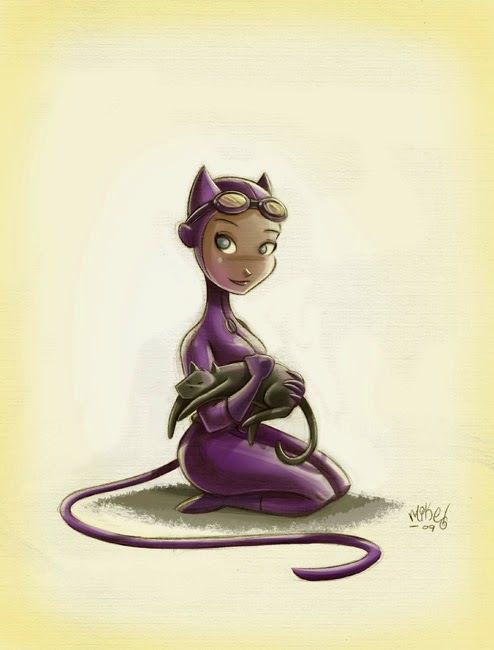 The Catwoman is amazingly adorable! I might have to make a cosplay based on that :D Thanks again for your amazingness Jen! If you like the first one, it's an homage to one of my favorite artists, J.C. Leyendecker (http://www.cavetocanvas.com/post/9224436996/easter-j-c-leyendecker-1923). He painted lots of dapper ladies and gentleman in the twenties! 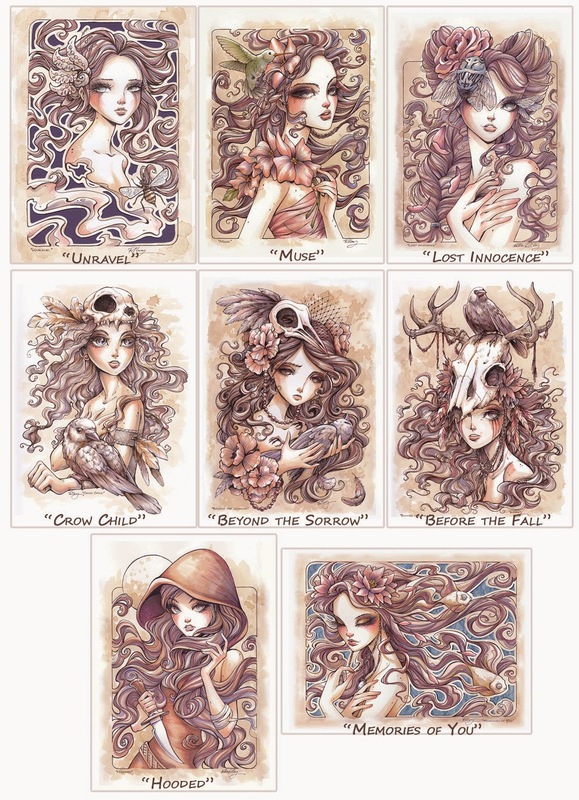 Oh, I am so tempted by Kellee's prints! I love the muted color palette, it makes the work so striking. I just started watching Sherlock, but those Sherlock and Watson prints are amaaaaaazing! So many adorable prints!!!! Love them all! Another month, another shot! Good luck, fellow Epbotians! Ohhhh, I might have to get a print of Marta's Loki!! Plus that Jack is adorable! Oh. My. Word. Gorgeous, as usual! I am always delighted with the art round-up, thanks! I've never entered before, but why the heck not?? I always enjoy your roundups. I hope I get lucky! Hmm.. been looking at the godzilla ACEO, but the Star wars doodlez might win me over. Oh my god, The John and Sherlock set is amazing! Here's hoping I get lucky on this one! So much cool stuff! Thanks for the chance to win! These are all so amazing. I don't know if I have enough self control!! !